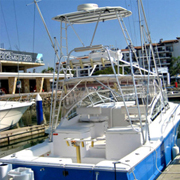 Puerto Vallarta is located on the enormous body of water, Banderas Bay, which opens up to the deep bountiful waters of the Pacific Ocean. 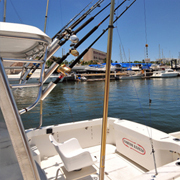 The docks of Marina Vallarta are only twenty miles away from the deep water channels of the Pacific. 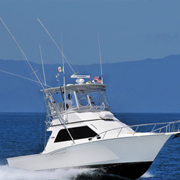 Deep-water pelagic fish like yellowfins, wahoos, rooster fish, and Dorado (called dolphin in the eastern United States or mahi mahi in Hawaii) are drawn from the deep-sea currents of the Pacific to chase for the feeder fish near the mouth of Banderas Bay. 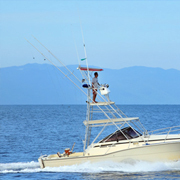 The Pacific waters near Bahia de Banderas provide superior fishing waters for fighting billfish like blue marlin, sailfish, black marlin, and striped marlin. 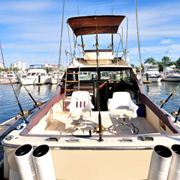 The waters near Puerto Vallarta attract top-notch anglers from across the globe to compete for huge prize money in deep sea tourneys. 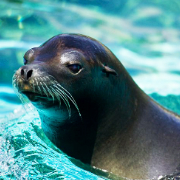 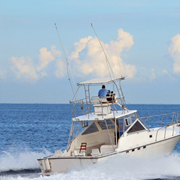 Our veteran native captains and crewmembers possess decades of experience in these bountiful waters. 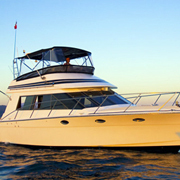 Our deep sea guides have not only led plenty of successful excursions but have also often moneyed in deep sea competitions. 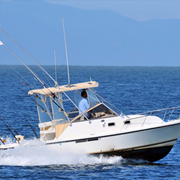 Our friendly charter staff will not only supply you with local fishing knowledge, but also supply you with the best fishing gear and live bait. 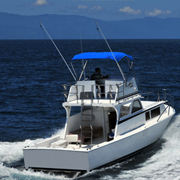 Our guides will choose lures according to the species and conditions for that day. 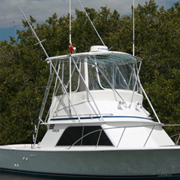 We offer a broad array of late-model customized sport-fishing craft that will suit any group’s needs. 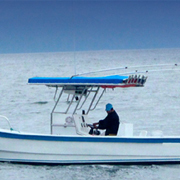 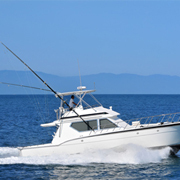 Our vessels are equipped with the latest electronic equipment for navigation and fish finding. 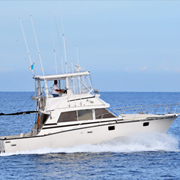 Join our savvy charter crews for a rewarding expedition of deepwater trolling action.